Like a lot of visitors to Hawaii, you're probably wondering which Hawaii island to visit and thinking about which one would be best for you and your travel party. The islands are very diverse and each one has its own unique offerings, making choosing an island rather difficult. And once you've started visiting the islands, coming back to a different island can often feel like a totally different place with a whole new set of experiences, sights, and attractions. Having been to all the major islands, we admit we have our own personal favorite. However, please know that each island truly is spectacular and one is most certainly not "better" than another. That said, here we'll objectively tell you about the major islands in the Hawaiian chain so you can pick the island that's just right for you. And, like us, we’re sure you’ll soon have a favorite. 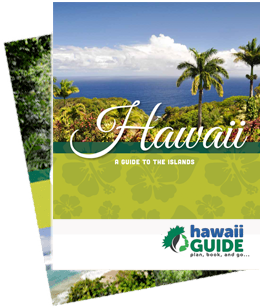 Take the handy quiz below and read our companion article, Selecting the Best Hawaiian Island in order to find the best Hawaiian island for you. But first, let's review each island and its highlights. The oldest and northernmost island in the Hawaiian Island chain is graced with dramatic, natural beauty. Explore the trails of Kokee State Park, see Waimea Canyon- the "Grand Canyon of the Pacific"- or take time to relax in one of the many beautiful gardens of the aptly named Garden Isle, such as Limahuli Garden. Wailua Falls - Kauai's most popular waterfall. Kalalau Trail - Spectacular coastal trail on Kauai's North Coast. Poipu Beach - Voted one of America's best beaches. Waimea Canyon - Nicknamed the "Grand Canyon of the Pacific." The second-largest island is home to what some believe are the best beaches in the world. If you visit during the winter months, book a tour to see the majestic whales, as Maui has some of the world’s best whale watching. Wake up early to catch the sunrise at Haleakala, stroll through historic Lahaina town, or drive the majestic Road to Hana for spectacular scenery. Lahaina Town - Whale watch, shop, and dine in this historic hot spot. Makena Beach State Park (Big Beach) - One of Maui's largest beaches. Iao Valley State Park - Historic site home to the iconic Iao Needle. Haleakala National Park - Scenic home of Maui's highest peak. Hana Highway - Famous for the scenery, twists, and turns on the way to Hana town. Larger than all of the other islands combined, the island of Hawaii, also known as Big Island, encompasses 11 of the world's 13 climactic zones - from white sand beaches to snow-capped mountains. See waterfalls, rainforests, and botanical gardens near Hilo; explore the historic PuuKohola Heiau, north of Kona; or view Kilauea, one of the world's most active volcanoes, in Hawaii Volcanoes National Park. Historic Kailua-Kona Town - Historic seaside hot spot. Waipio Valley - Hawaii's largest isolated inhabited valley. Downtown Hilo - Discover local treasures in the island's capital city. Ka Lae (South Point) - The southernmost point in the United States. Hawaii Volcanoes National Park - Home of one of the world's most active volcanoes and otherworldly scenery. Home to the state capitol of Honolulu and the majority of Hawaii's population, Oahu is a vibrant mix of natural and cultural wonders with the entertainment and amenities of the 21st century. Check out the waves on the famous North Shore, relive American history at the memorials and museums of Pearl Harbor, or soak up the sun and take a surfing lesson on Waikiki Beach. Waikiki Beach - Iconic gathering place for visitors from around the world. Pearl Harbor - Explore the historic sites recounting the Pearl Harbor attack. Hanauma Bay & Nature Preserve - One of Hawaii's premier snorkeling sites. Nuuanu Pali Lookout - Historic spot with fantastic mountain views. North Shore - Legendary birthplace of big wave surfing. As noted, selecting the right island is no easy task for many visitors. It can be a confusing and even frustrating job, and that's probably the last thing anyone wants when planning a trip to Hawaii. That’s why we’ve created this handy quiz- to help determine which Hawaiian island is best for you. Simply read and answer the questions below- each of your answers will earn a set number of points which will be tallied at the end. Make sure to answer all of the questions to ensure an accurate score. Note that while there are six major islands you can visit in Hawaii, we've only detailed four of them here; as the overwhelming majority of visitors (around 98%) will never visit Molokai or Lanai. And we assure you that, at this point, you'll be much better off visiting one of the major four. Please answer ALL Questions with a "Yes", "No", or "Somewhat" response. Coming to see how the islands were formed? While every island has reminders of how it was formed, it's certainly a lot harder to distinguish the volcanoes on some islands than others. If it's lava you want, then the Big Island is the ONLY option. But all of the four islands have volcanic remnants to be seen. Whether it's your honeymoon or just a romantic trip for you and your significant other, you couldn't have selected a much better choice than Hawaii. Hawaii is the destination of choice for many couples looking to get away for a romantic vacation, and for good reason. If romance is important to you, keep this on your list. There's no question about it. We chose Hawaii because of this very option; the islands are a mecca of trails. If you're like us, crazy about hiking to see the often unseen, then definitely consider this option. From gorgeous coastal trails, barren lava hikes, to lush jungle, you can do it all in Hawaii. Some of the best beaches on earth can be found right here in Hawaii. If you consider yourself a beach-going person, then you're going to love Hawaii's choices. Take your pick of white, yellow, black, green, or even red sand. This is a really important option for some folks. If you are absolutely set on having optimal weather, then add this to your list. Keep in mind that the windward side of each island will always have a chance of showers, but that in general, some islands are just drier than others. We're going to assume in this option you're staying in one of the accommodation hot-spots on each island. If kayaking is your thing, then you'll certainly have plenty of opportunities to row and explore some of the world’s most beautiful waters in Hawaii. If the history of places you visit intrigues you, then this is a category to put on your list. Hawaii has an incredibly rich history that is unique in all the world. Luckily, much of this history has been preserved throughout the islands in various historical sites. OK, so when we said hiking was the only reason we picked Hawaii, we might have fibbed a bit. This was the other reason. If you're a big fan of tropical plants and birds, then make sure to put this on your list. Hawaii offers some of the most diverse plant and animal life on the planet, and several species are endemic to the islands, meaning they ONLY exist here. Can't resist the urge to grab a fishing pole and see what you can catch? Whether its local shore fishing or deep sea fishing, if you’re looking to reel in the catch of a lifetime, be sure to add this subject to your score. Some islands in Hawaii make you feel as though you've been on a road trip around the entire continental United States. Others remain the same pretty much all the way around. If you are really interested in the diverse ecology of the islands and you'd like to see a lot of change when driving around, then this choice is for you. If you're a family with children, be sure to select this option. Some of the islands offer an incredible array of activities and sights for families, such as zoo's, aquariums, water parks, and more. Take your pick of many beautiful world-class golf courses throughout the islands. If you're into golf, then Hawaii is definitely a place to take a swing at a game you'll never forget. You'll have a variety of dining options on any of the four major islands. However, some are much better equipped to give you an incredible experience than others (for a price), while some islands are better at serving up local produce than others, and that's reflected in our score as a positive thing. General dining is the next option, so skip this one if you're not looking for luxury dining. Whether it's a small restaurant or a fast food place, you'll be happy. If you're not as concerned about where the food is, only that it's good and you don't have to fix it, then this option is for you. Hawaii certainly has its fair share of beautiful state and federal parks- it's home to two National Parks- including Haleakala National Park on Maui and Hawaii Volcanoes National Park on the Big Island. You'll also find several National Historic Sites on select islands. If nightlife is important to you, then make sure you keep this option on your list. A lot of Hawaii shuts down after dark, but if you're just starting when most are heading to bed - add this topic to your score. If you're looking to escape, and get away from it all, then put this option on your list. Remoteness isn't always easy to come by in Hawaii, but it does exist - on some islands more than others. Take your pick from some of the world's best shops. Hawaii offers the big city names in the places you might least expect them. If fine art and high-class merchandise are for you, then add these to your list. General shopping is the next option, so feel free to skip this if you're not a high-class kind of shopper. If you're more budget oriented and are really looking for some great things to take home with you, then this is the choice for you. You don't have to break the bank to take home some incredible art, local crafts, or souvenirs. If it's what's under the waves that piques your interest, then you've come to the right place. Hawaii has some incredible opportunities for anyone interested in these two activities. Love to surf, body surf, or wind surf? Then come hang on the waves in Hawaii. During the winter months, you can't find a much more optimal location, especially if you’ve got some experience. If you simply have to see the whales during your vacation, then make sure this is on your list. The months of December through April typically offer the best opportunities of seeing Humpback whales. The whales can show up as early as October and depart as late as May, but optimal times are Dec-April. Please select ONE option below for this question! World Class Resorts - For folks looking to live the high life on their vacation, this is the choice for you. If you're not likely to leave the resort, want to relax on the beach most of your trip, play golf, enjoy a large pool, etc.- then consider this option. OR Hotels - The choice of the average traveler, hotels provide very nice accommodations for a much cheaper rate than the big resorts. While they certainly don't have the same services and amenities, they serve the purpose of giving you a great place to spend your vacation. Ideal for families. OR Condos - The choice of many budget-oriented travelers, condos are a good way to save some money during your stay in the islands. This is also a great option for anyone looking to not spend a lot of time actually in their room. Condos often include a kitchenette for fixing meals in your room if you so choose. Ideal for families. OR B&B (Bed and Breakfast) / Inns - The choice of those seeking seclusion and the 'warmth' of a home on their vacation. B&Bs and inns make a very nice choice for many couples who are on their honeymoon, or for individuals looking to have a local person to talk with on a regular basis. It's a much more intimate accommodation situation, but for many, they'd choose no other option. Public Transit - For folks who prefer modes of public transportation like the bus, taxis, etc., this is the choice for you. We'll be honest, your choices are limited. OR SUV - Despite the fact you cannot legally drive off-road on ANY Hawaiian island (without renting from a company that expressly permits it), some folks still prefer an SUV on their trip. Some islands have roads more suited for these larger vehicles than others. OR Regular Car - The choice of most vacationers, a regular car is the best way to get from point A to point B. OR Other or Walking - Applicable only on the islands with larger cities. This choice is not encouraged. Money isn't a concern (splurge) - If you're looking for ultimate luxury and don't consider money an option, this is the choice for you. OR Save a little - Want to both spend a little and save a little? Then this is the choice for you. Optimal for most visitors looking to save when it comes to accommodations, food, vehicle rentals, and purchases - but still have good fun on activities. OR Budget travel - If you are looking to stick to the cheapest accommodations, don't want to rent a car, and want to save as much as possible, this is the option for you. Security Check: Please spell 'aloha' in lowercase letters. It may take a few seconds to process your personalized Hawaii results. Mahalo for your patience.